Known for his work on such Hindi films as Housefull and Hey Heyy Babyy. He also had a career as an actor, appearing in the 1998 comedy movie Jhooth Bole Kauwa Kaate. 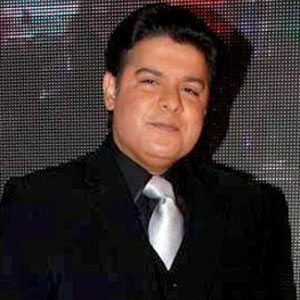 He began his entertainment career by appearing on the television show Kehne Mein Kya Harj Hai. His first directorial work, Darna Zaroori Hai, was released in 2006. He hosted an Indian talk show called Sajid's Superstar and also served as a judge on two seasons of the reality television dance competition Nach Baliye. His sister, Farah Khan, also had a career as a director and actor, and his aunts, Honey and Daisy Irani, were popular child actors. He had a cameo role in the 2014 Gauri Khan-produced film Happy New Year.